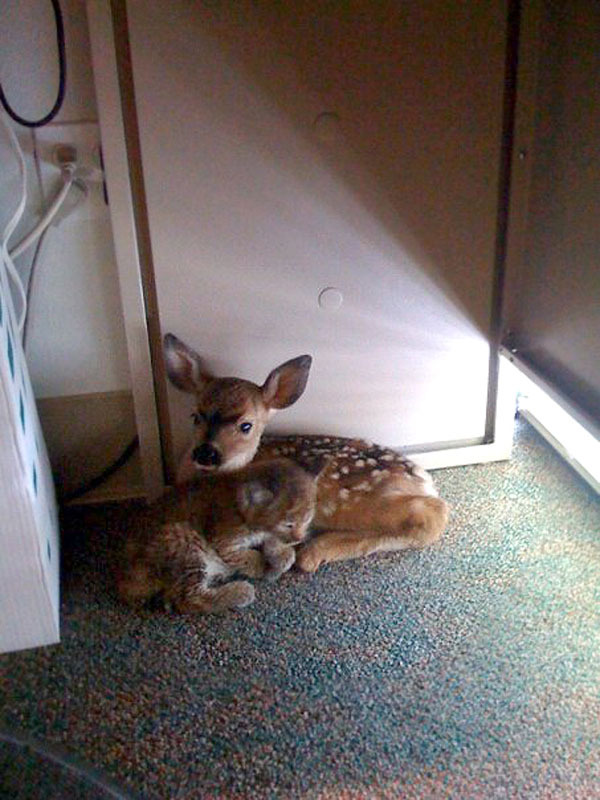 The Jesusita Fire in Santa Barbara, CA this year caused these two to take shelter together. The fawn is about 3 days old and the bobcat about 3 weeks. They immediately bonded and snuggled together under a desk in the Santa Barbara County Dispatch Office for several hours. Animal Planet is reporting the bobcat kitten was rescued near Arnold Schwarzenegger's ranch, where it was dehydrated and near death. They rescued the fawn during the wildfire. Although wild animals, especially of separate species, are never placed together due to regulations, in this emergency situation, they had no choice. During the mayhem of the fire, they were forced to put animals anywhere they could, since they had run out of crates large enough for the fawn. 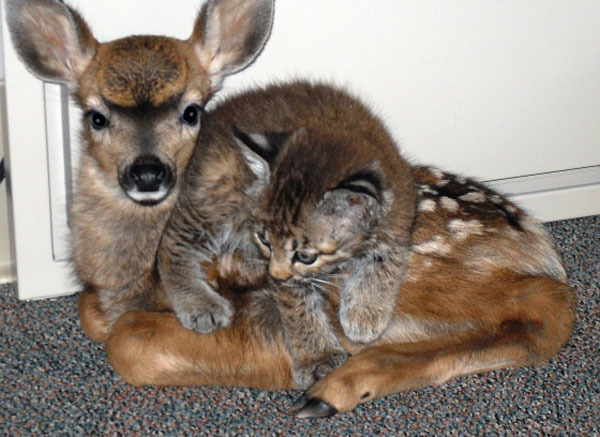 The kitten ran to the fawn, and it was instant bonding.